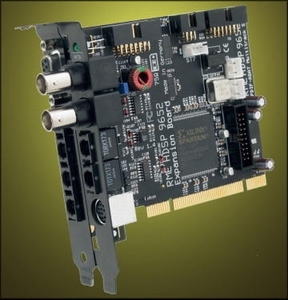 The Hammerfall® DSP System comes with drivers for Windows 98/ME (MME with multi-client operation, ASIO 2.0, GSIF), Windows 2000/XP (full multi-client operation of MME, GSIF and ASIO 2.0), Mac OS 9.x (ASIO 2.0) and Mac OS X (Core Audio, Core MIDI). Mixes all inputs and all playback channels to any hardware output. Up to 13 independent submixes. Monitoring of the input signal with zero latency.